On 20 June 1998 Peter Temple-Morris, Conservative MP for Leominster, crossed the floor to join his rivals on the Labour party benches. What drove a seasoned Conservative politician – one of the so-called 'Cambridge Mafia', with 24 years' experience as a Conservative MP – to change his allegiance so radically? 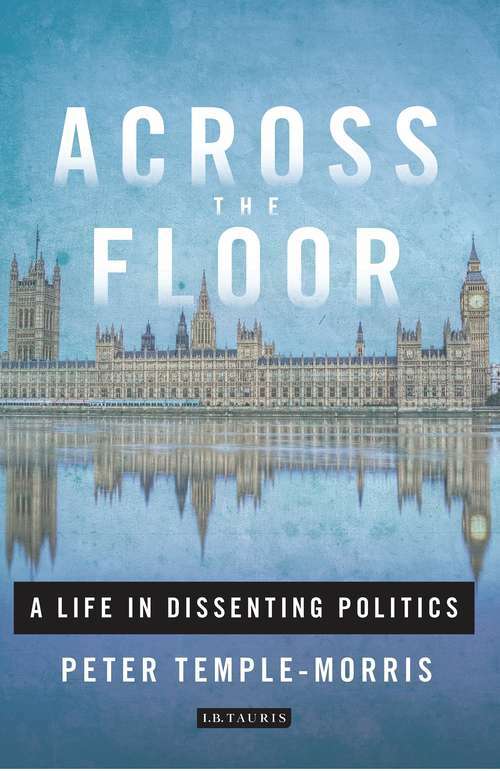 In this memoir of a long and varied political career, Temple-Morris answers this question, unveiling the slow, gradual process of disillusionment with the Conservative party, especially under Margaret Thatcher, and the growing appeal of the New Labour movement under Tony Blair. As well as providing an important overview of British domestic politics in the second half of the twentieth century, Temple-Morris also explains his crucial role in Irish politics, especially in the peace process talks which led to the Good Friday Agreement of 1998.